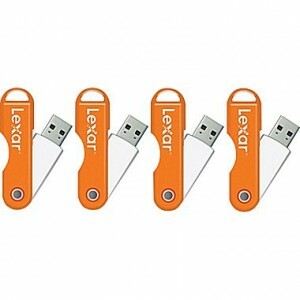 Staples has this 4 pack Lexar 16GB TwistTurn USB 2.0 Flash Drive Sale Priced at $19.99. Free Shipping for Rewards members (free to join and get free ship on all size orders) or free ship to store. Ends soon. USB 2.0 but cheap! $9 each shipped at amazon. Rated 4 out of 5 stars. Capless design means nothing to lose, rotating case to protect the drive and its contents.